If you’re touring Vienna during the Christmas season, it’s impossible to miss the Stephansplatz Christmas market, named for the Stephansplatz square where it sits. The square is home to one of Vienna’s most famous landmarks, the spectacular cathedral, the Stephansdom. The Stephansdom is on every Vienna visitor’s tourist trail, and for good reason. 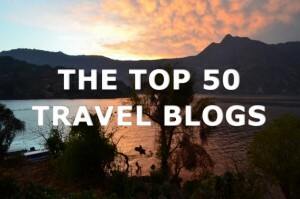 The crazy, multi-colored roof, towering spires and combination of gothic and romanesque architecture sets it apart from other run-of-the-mill European churches. 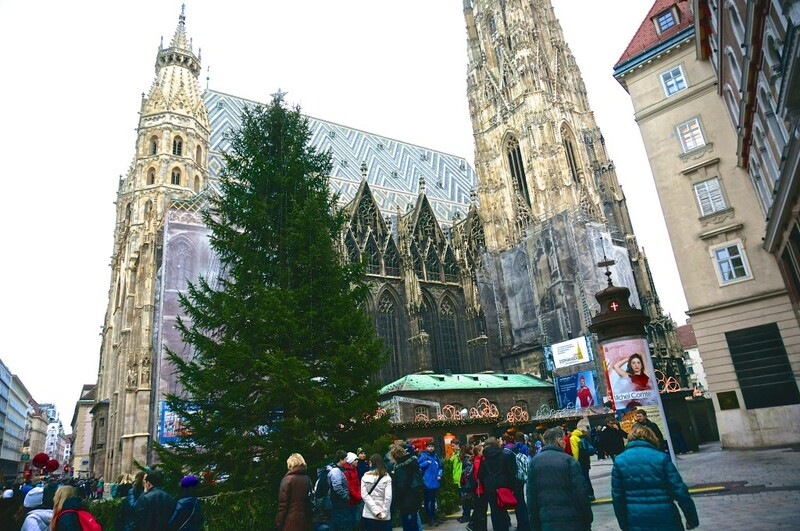 But visit the Stephansdom between mid-November and the New Year and you’ll find it at its most photogenic, with Christmas market stalls winding around the striking cathedral and a giant Christmas tree competing with its towering spire for attention. At night, the lit-up cathedral creates a stunning backdrop for the lively Stephansplatz Christmas market, making it the perfect atmosphere to hang out an enjoy a punsch or two. The lights on the Vendor stalls at the Stephansplatz Christmas Market reminded me a bit of barbed wire. The Stephansplatz Christmas market is surrounded by historic buildings. 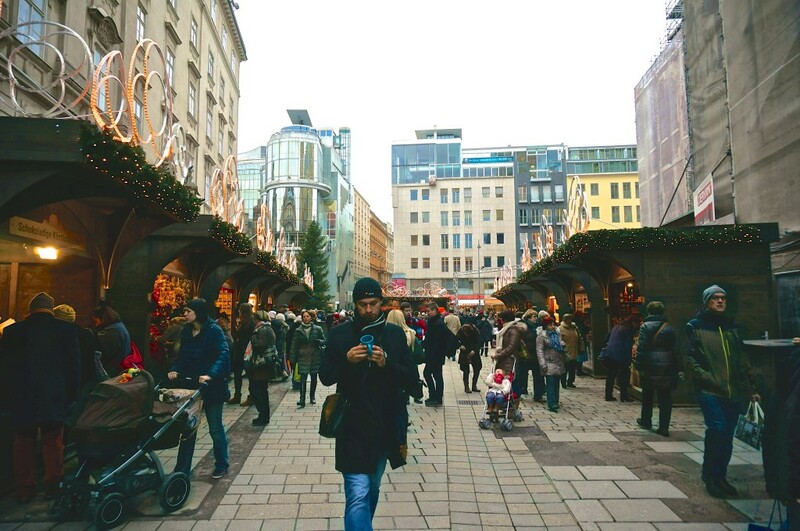 Even if you aren’t looking for the Stephansplatz Christmas market– you are sure to amble past is once, twice or a dozen times. The Stephansplatz is located dead center in the middle of Vienna, with the main shopping streets of Graben and Kärnten practically intersecting the square. This vendor pours refills of the Stephansplatz market’s hottest item– pumpkin soup served in a bread bowl. Piping hot deliciousness– amber orange pumpkin soup at Stephansplatz Christmas market. One of the top reasons to stop by the Stephansplatz Christmas market: the toasty-warm pumpkin soup, served in a bread bowl. Each Christmas market has its own distinct mug each year, yours to bring home for the price of your deposit (usually a couple of euros). 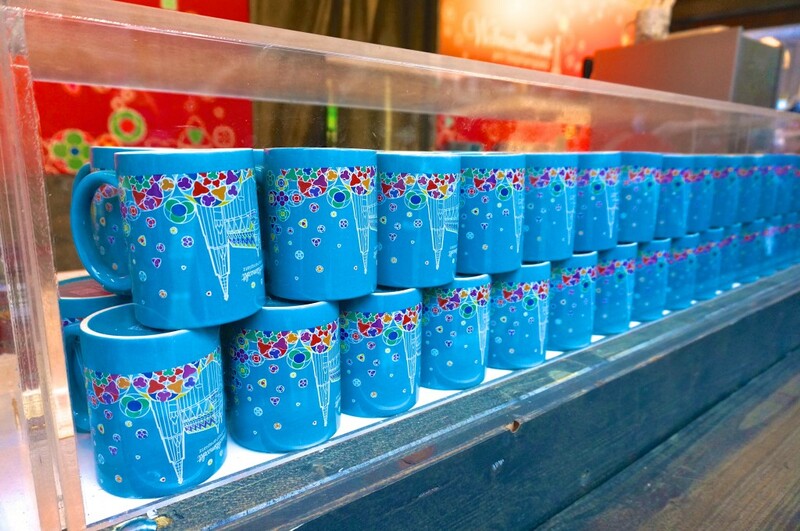 I loved the turquoise blue mug from Stephansplatz Christmas Market. Linda orders a beer at the market. The vendor snaps our photo. 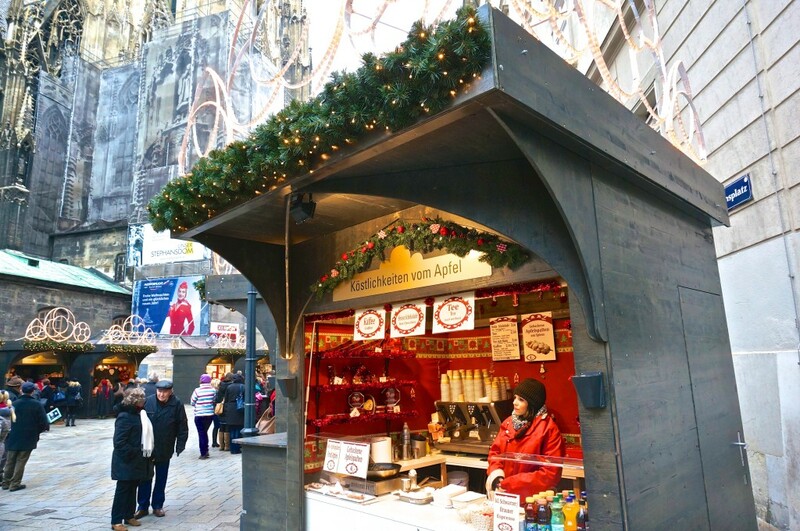 The Stephansplatz Christmas market has all of the Christmas drinks you’ll find at other markets– including different flavors of punsch and gluwein. But if you need a break from these sweet drinks, you might want to note that this is the one of the few Christmas markets in Vienna that serves beer. 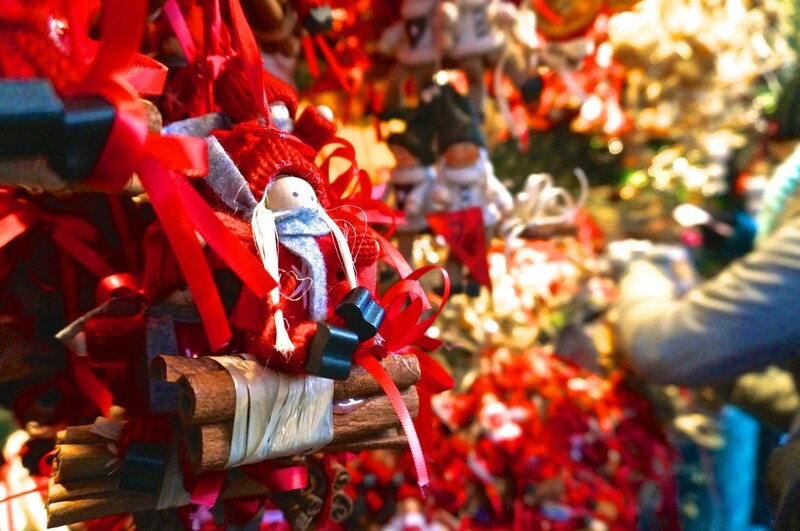 The Stephansplatz Christmas market is known for its traditional, high-quality crafts. A gingerbread house captures shoppers’ attention. Punsch and liquors in pretty bottles. This vendor had beautiful chocolates. utensils carved from olive wood. What to buy: Christmas ornaments, chocolate, punsch mixes, among other crafts. i was so happy to find beer at this market in Vienna. I had my feel of gluwein and needed something more refreshing for afternoon market hopping!